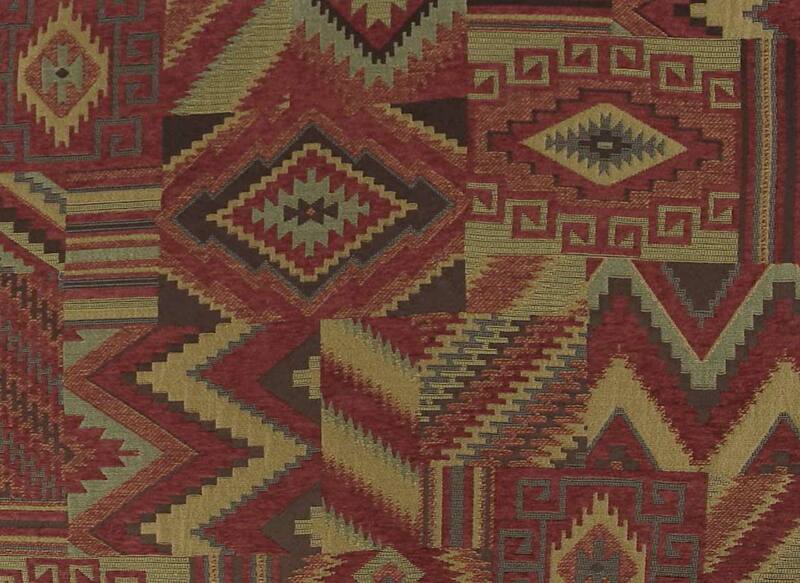 Here are some authentic Native American rugs. 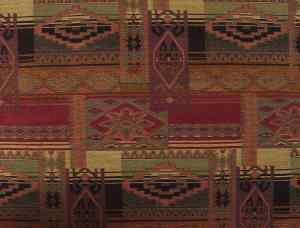 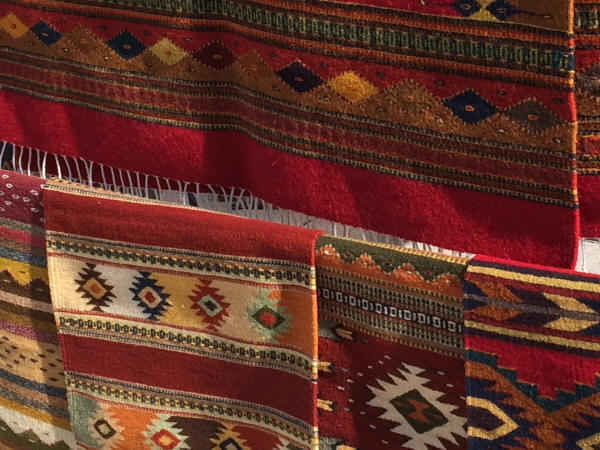 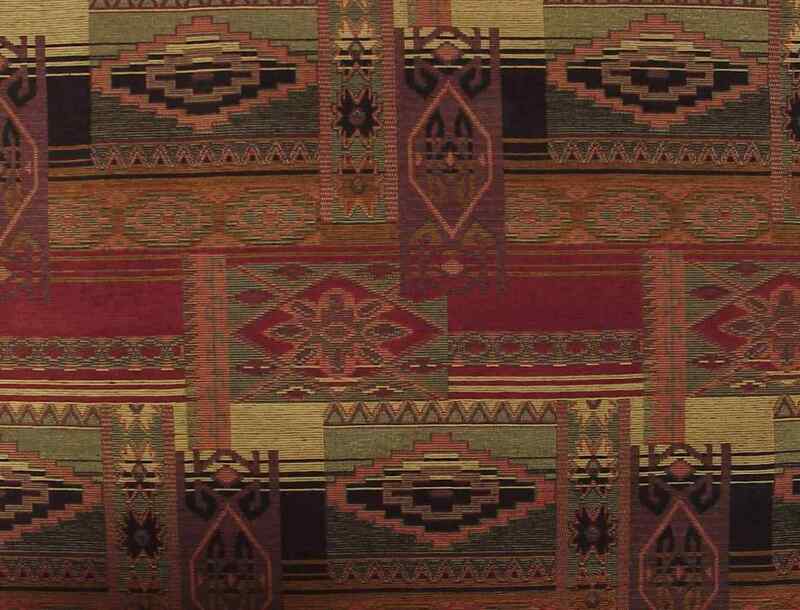 This upholstery fabric captures the authentic look and feel of the culture with earthy reds and vibrant colors. While certainly not the real thing as these works of art are, they are affordable and durable fabrics that reflect the lifestyle-look and will they last for years. 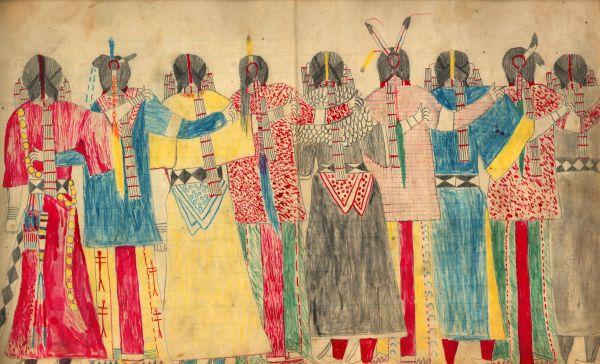 Here is some great artwork by a Lakota artist and Chief Black Hawk, born ca. 1832.